How do you invite people to your family gatherings, birthday parties, bridal showers, or weddings without breaking the bank? It's easy. Send out online invitations! The concept is new and exciting people who live busy lives and don't have extra time to pick out fancy invitations and mail them out individually. 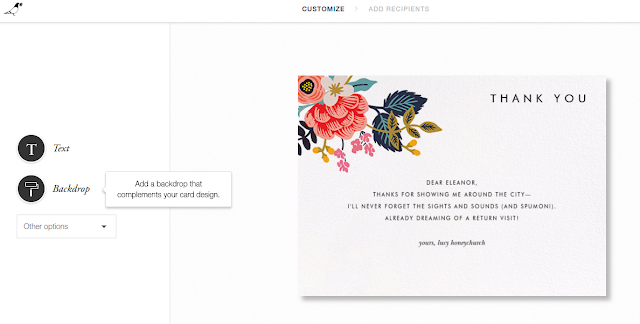 Why not make things easier by opting to send electronic invites or thank you cards?! 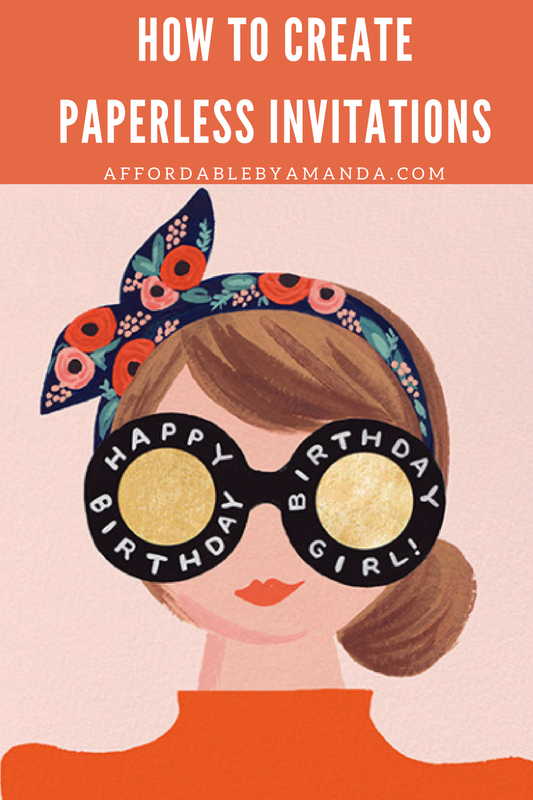 Enter Paperless Post, a company that provides customizable digital invitations to celebrate every type of event you could imagine. They offer a variety of popular brands from Rifle Paper Co. to Oscar de la Renta in terms of unique design options. 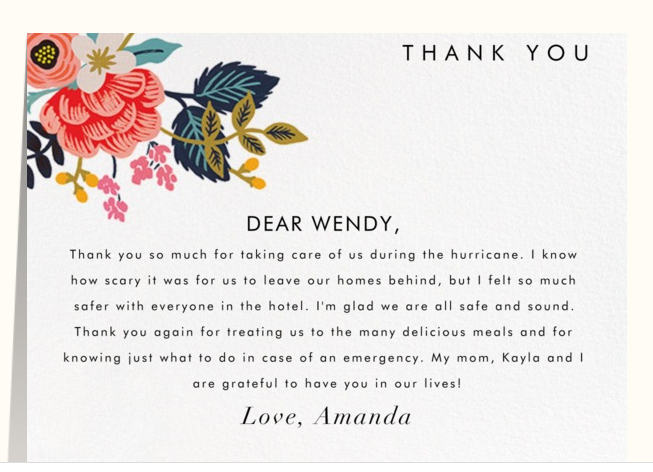 To test out their invites, I chose to send my Aunt Wendy a thank you card. During Hurricane Irma, she kindly booked a hotel for my family to stay at with her. It was a scary time, but I was SO grateful that we were able to leave our homes to find higher ground (we live in Evacuation Zone A in Florida which means we are close to the water). I followed the instructions listed above and chose through their collections of cards to find the perfect one. I knew I wanted to create a thank you card to send out, which narrowed down my options a bit! I found this beautiful template from the brand Rifle Paper Co. I love floral designs! The botanicals included in many of their stationary cards is something I love dearly because it's so cute and whimsical. This is my final product to send out to Aunt Wendy. She is going to love it! I also can't wait to design something for Christmas, stay tuned to see what else I come up with. After I created my card, I sent it out to her e-mail address. It's so cool because I can check to see if she has opened it yet. *Thanks again to Paperless Post for working with me on today's how-to edition of learning the ropes behind creating digital invitations.